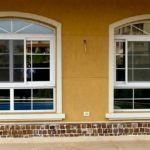 When it comes to choosing windows for your house, office or buildings you are highly concerned because windows are a main feature that determine the style of the building. Usually, there are a variety of types, shapes, materials and sizes available to choose from; and the best approach to pick a suitable windows for your compartment is to find the right balance between its aesthetics and usefulness. Presently, there is a prevalent trend of aluminium windows deemed as modern, durable and the most superior option but in actual this is not the case! There are many hidden costs associated with using aluminium windows and what are they? Oxidation is a natural phenomenon that befalls in aluminium which is likely to root rust in its frames. As time passes, aluminium windows oxidize and develop white coloured scum and fissures. Likewise, if appropriate actions are not taken to confront electrolysis in aluminium, then it is also vulnerable to corrosion. Aluminium is a metal and a very good conductor of heat so definitely buildings with aluminium windows are much warmer than others. Also, aluminium frames allows condensation on internal surfaces of the windows shaming a series of concerns. 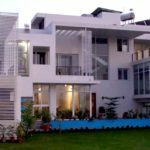 Please send the quote fir installing the sliding windows in my new constructing house. Size are different… Rate per sq ft.